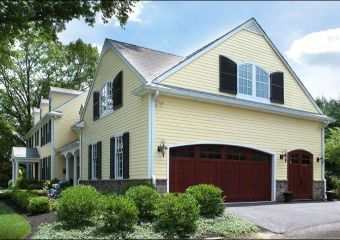 This was an expansion and remodel of a 1980’s Colonial Revival Home in Moorestown off Tom Brown Road. Originally a development house, the home sorely needed a facelift and expansion to fit the family’s needs. 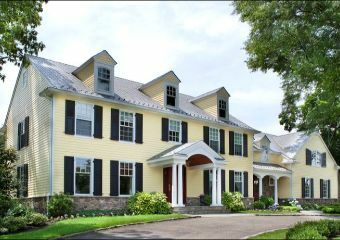 This 1980’s Colonial Revival Residence was built in a new cul-de-sac in Moorestown, but after 20 years, it needed a facelift and expansion. The Dyer’s knew what they wanted, a large expanded kitchen and family room with nice wood cabinetry, generous garage with game room above and a beautiful new master suite with large bath and closet areas. In addition, a new patio area was included with gas grilling area adjacent to the pool. 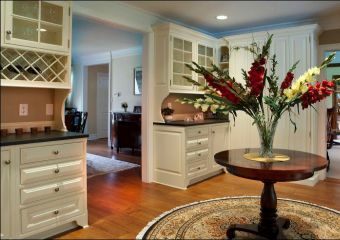 All new finishes throughout including heavier mouldings, casings, trim and crown created an elegant interior. The new house received a slate look roof, new cement siding in a beautiful spring “yellow” and true to size wood shutters with working hardware. All new landscaping and patio areas were added. 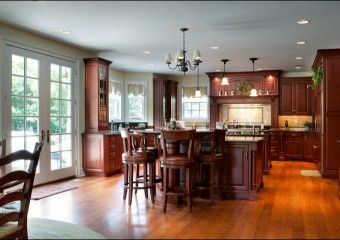 The work was completed by Master Contractors of Voorhees, NJ.